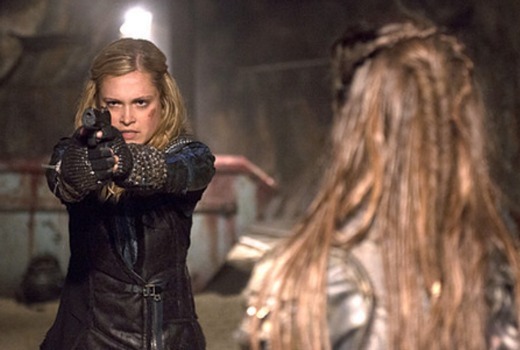 US sci-fi series The 100 returns to FOX8 this week. The opening episode is a two-parter, “Wanheda Part 1” and “Wanheda Part 2” and the season essentially picks up three months after the events of the finale. This premiered in the US two weeks ago. For two seasons, the refuges of The 100 who were sent to Earth have been at war. First with themselves, then with the Grounders, and finally with Mount Weather. Many have lost their lives along the way. All have lost their innocence. They have learned the hard way that in the fight for survival, there are no heroes and on villains. There is only the living and the dead. After finding normalcy, season three will shake the refugees to the core, and their lives will change forever, as threats both new and old come to the surface, challenging their loyalties, and question them what it is to be human. Wednesdays from February 3 at 8.30pm on FOX8. Season two was amazing and season three is off to a good start so far. Love love loving The 100 – I binged on it last week on Netflix, it’s really good! The very first episode was a bit clunky but it’s gone onwards and upwards since then (I actually didn’t originally watch it David because of your review as I usually have similar TV tastes to you!). A lot of little seeds were laid in the first episode that you couldn’t appreciate until it got further down the line. The storylines are generally unpredictable – no last minute ‘saves’ for people and always consequences for actions, it goes to some very dark places. As much as I’m obsessed with The Walking Dead and it’s one of my all time favs, TWD could actually take some pointers from The 100 about writing for a dystopian world. I agree about the first episode. A bit confusing and disjointed. I will perservere. Personally I think you’ve got to persevere through the first half of the first season, as the show really seemed to struggle with what it wanted to be – there are a lot of soapy elements (forced love triangles) initially that don’t fit the tone of the rest of the show – but it really starts clicking in the 2nd half of the season and kicks into overdrive in Season 2. @alfagirl – do watch a couple more, I was eyerolling through the first ep but gave the second ep a shot as I like dystopian stories, as I said, I’ve been very impressed. @nate – it was much better when they dropped some of the romance bits, it doesn’t need it, the story is interesting enough on its own. The couple of elements they have kept have added to it IMO but having survival as the primary focus makes it a better show. I think if you can make it to the end of ep 3 then there’s a nice kick and the show really begins to improve and season 2 is even better. I’ve seen the first two of season 3(netflix canada) and its shapping up well for this season too. After a very average beginning to the show, the writing was much more nuanced for Season 2 and quickly became one of my favourite shows last year. Here’s hoping the writing maintains its quality this year.